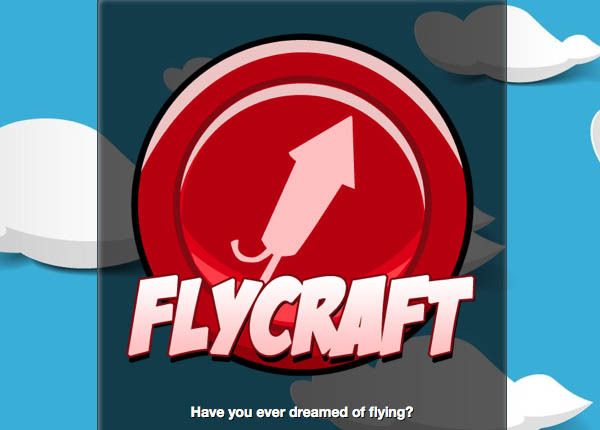 The developers behind the game Pop Corny will soon be releasing an all new game called FlyCraft exclusively for the BlackBerry PlayBook. Having only started on development of FlyCraft at the beginning of October, this super ambitious two man team set a goal to have it completed and ready for release by the end of the month. After the warm reception they got from Pop Corney (which was a port from iOS), Harry vowed to make his next game excusively for the PlayBook. He has also noted "it is a platform I fell in love with recently and it's a platfom where you can actually make a buck these days." True story. FlyCraft is a game about crafting flying machines. You take up the role of Herbie, a chubby Ladybug, who is too bored to fly by himself and creates whatever wild contraption you can imagine to fly from one flower to the other. You get to utilize wood boards, steel plates, soda cans, firework rockets, propellers, and other wild items that you can combine in any creative way you can conceive. Will it fly or it will fall like a brick? There is only one way to know: throw it off a cliff! The developers are also taking part in the Ludam Dare October Challenge. The goal is simple enough: Make a game (or finish one you've been working on) - Take it to Market - Make $1. Of course, everyone hopes to make more than a dollar on their efforts, but that first dollar is a great starting goal. Offering up resources, opportunities, and support from fellow developers, Ludam Dare is definitely something you'll want to check out if you're a developer (for any platform) and haven't looked into it yet.